Refacing is a term that is easily confused with refinishing. Refacing refers to adding wood in some manner over the top of the existing finished cabinet face frames. It also usually means replacing the doors and drawer faces as well as the crown and trim moldings. 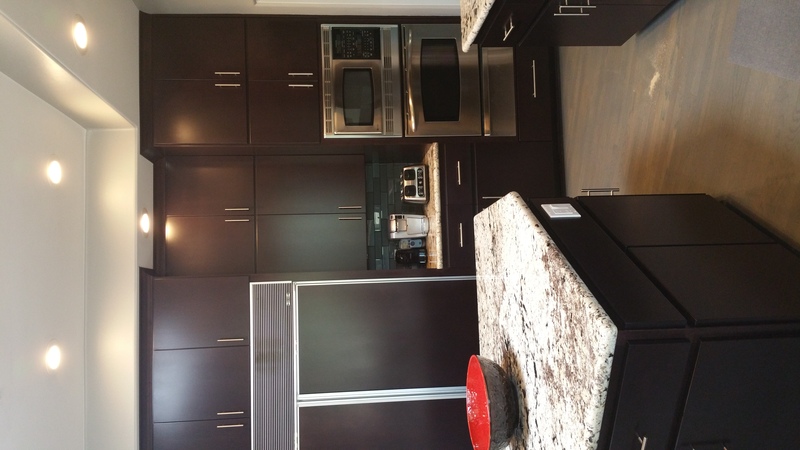 Better Than New Kitchens in Scottsdale and Tempe AZ does exactly that. We use 1/4 inch thick real wood that is factory finished with conversion varnish and encase each of your existing cabinet boxes. We do this by custom cutting each piece of 1/4 thick wood to fit each area on each cabinet box exterior. 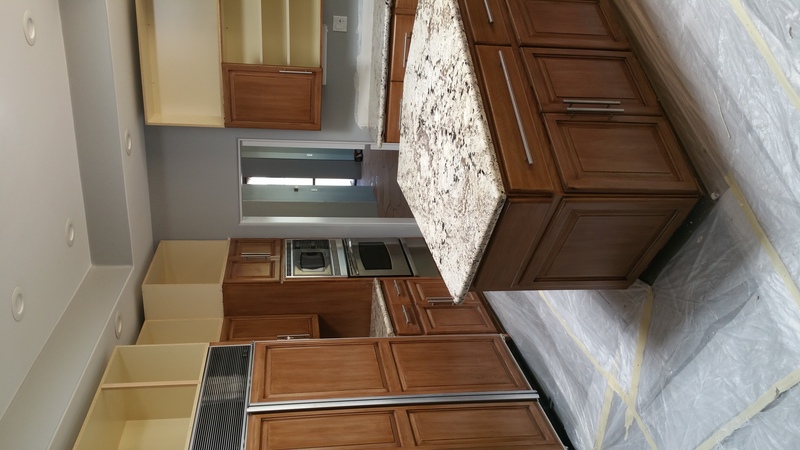 Through a process of gluing and nailing we can seamlessly transform your kitchen through this refacing process. Better Than New Kitchens has highly skilled craftsman that take time in every cut to get it right! 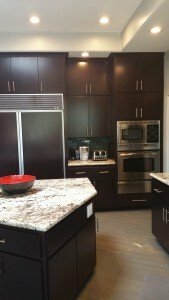 Better Than New Kitchens – Modern Kitchen- After Picture- Refaced cabinets in dark brown/burgundy finish .New doors and new 1/4 wood applied on face frames. ansport them back to your home and hang them over the newly finished face frames. 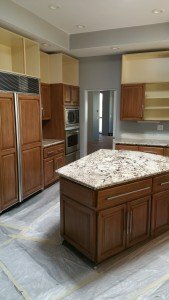 Its a quick and effective way to change the look of a kitchen. Many people selling their home or flipping a house for profit prefer this method of remodeling. 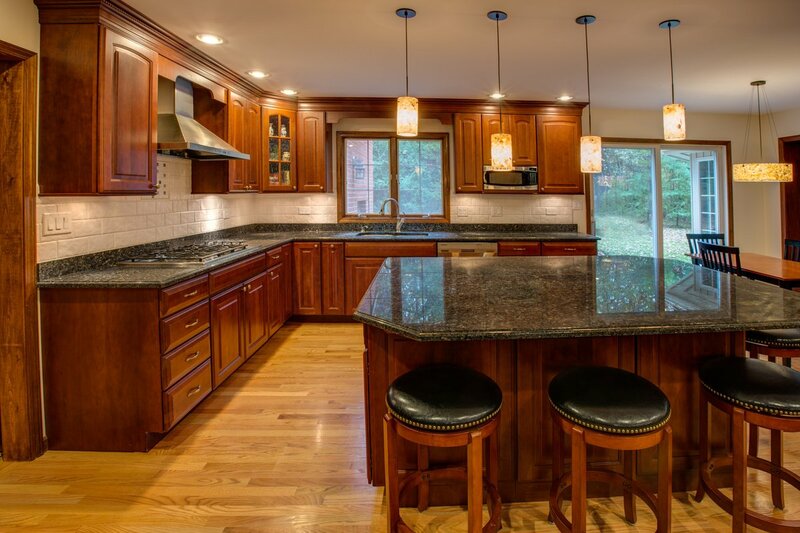 next post: To Reface or To Refinish Your Kitchen, That is the Question.